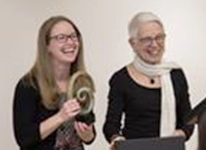 In recognition of the visionary leadership of Dr. Muriel Oaks, WSU Dean Emeritus, the Oaks award recognizes a faculty member’s innovative application of an existing technology to transform teaching and learning in their classroom. Faculty, on any WSU campus, wishing to be considered for the award, are invited to submit an application. Dr. Oaks served as a pioneer and visionary for WSU. Although maybe best known for her work in distance education, she saw the smart use of the growing variety of learning technologies as an opportunity to support the land grant mission, to improve access to WSU programs, and quality of the student experience. She joined WSU in 1979, served as the WHETS program director from 1988 to 1993, became director of Extended Academic Programs in 1993 and culminated her WSU career as Dean of the Center for Distance and Professional Education, (now known as Academic Outreach and Innovation (AOI) and home of the Global Campus) retiring in 2010. Under her leadership, WSU was one of the first universities in the country to deliver video-based distance education courses. She then oversaw the transition to fully online program offerings, many of which we still deliver today. Muriel was committed to creating access to quality education globally. 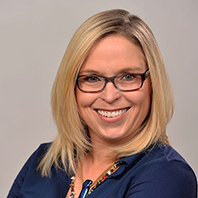 Rebecca Cooney, a clinical assistant professor in the Edward R. Murrow College of Communication, has been selected the winner of the 2019 Oaks Academic Technology Award for her innovative and transformative use of Google Drive to increase learning capacity. In fall of 2018, Cooney integrated the use of Google Drive into the curriculum for her Media Strategies and Techniques for Public Relations course, COMSTRAT 383. As part of the course, students used Google Drive as a real-time collaboration and content production tool, creating promotional campaigns and developed branding, messaging, and social media outreach strategy in partnership with Whitman County Public Health (WCPH). WCPH then used the COMSTRAT 383 students’ work for their real-world health and wellbeing promotional efforts. This service learning project, greatly enhanced by Cooney’s innovative use of the free Google Drive application as a collaborative content creation tool, gave students valuable practical experience and marketable resume items they can use to great effect in their future careers. Chris Cooney, a clinical assistant professor in the Edward R. Murrow College of Communication, has been selected the winner of the 2018 Oaks Award for his innovative use of the cloud-based storytelling tool Spark. 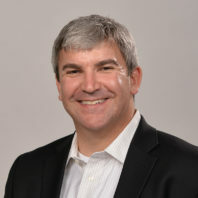 Cooney developed a series of tutorials and revised existing assignments to incorporate the free Adobe software into two courses: COMSTRAT 310, Digital Content Promotion, and COMSTRAT 381, Creative Media Strategies and Techniques. He also taught several faculty members how to use Spark in their classrooms. Connie Remsberg, Clinical Assistant Professor of Pharmaceutical Sciences at WSU Spokane, has been selected the winner of the 2017 Oaks Award. The award is administered by WSU Academic Outreach and Innovation and recognizes faculty members whose innovative application of technology transforms teaching and learning in their classroom. Dr. Remsberg has instituted a “flipped classroom model” for the four courses she teaches and has encouraged colleagues to adopt the concept, too. Her approach essentially “flips” the entire curriculum where students on both WSU Pharmacy campuses complete the same pre-class materials and then attend class on their respective campuses to apply and blend knowledge from the pre-class resources. Instead of one classroom having a live instructor and the other watching via videoconference, the instructor on the main campus in Spokane is paired up with a co-instructor in Yakima that facilitates classroom discussion to create a similar classroom experience for students no matter the location. provide an equitable experience for students on both our main and extension campuses. She has been working on the project for two years and the preliminary assessment data suggests that students perceive the flipped classroom model as more engaging and that it improves their learning and application of the course material. It also appears that students on both campuses are having equitable classroom experiences. The award recognizes current use of technology in a way that is transformative, ideally scalable and applicable to a variety of disciplines. (This award is not intended for the planning or future implementation of a technology innovation). Technology cannot create a barrier to individuals, so should be accessible, affordable and user friendly. Most importantly, as Muriel knew, the tool should serve a purpose. It should be about teaching and learning, not technology for technology’s sake. The award winner will receive $3000.00 in faculty development funds, distributed to the home department of the faculty awardee.